MK806 may be an accomplished successor of MK802 ? 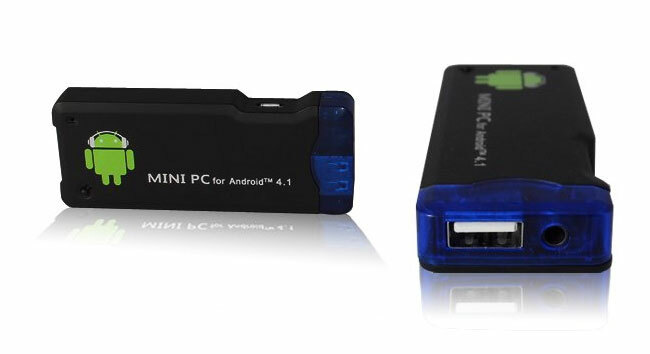 A new Android Mini PC, the MK806, was introduced by the specialized webstore “KIMDECENT” from China. The succesor of the MK802 has arrived, jumping into the RK3066 processor wagon and running Android 4.1 while purporting a decent price of about U$S 67. The plastic casing is till on the “Android on a Stick” size, with no visible venting holes, which makes me wonder about heat again. Thankfully enough the dual core RK3066 Rockchip processor seems to be more resilient to heat, as we have yet to read about any heat running trend on rk3066 based Android mini PCs. The dual Core Cortex A9 based processor inside the mk806 runs at 1.6 Ghz and it is coupled with a Mali 4500 graphics subsytem chip, both feeding from the hefty 1 gb of RAM available, while the Apps and games may be stored in the 4Gb flash ram included in the MK806. There is a full size USB PORT wich may accept an USB hub with a standard keyboard and mouse, a micro USB port for slave USB connection and power purposes, a microSD slot and a full HDMI. The MK806 is also marketed as the MK802 III. It includes also a 3.5 mm earphone port, in order to extend the audio output in case you connect it into a PC Monoitor with no audio, then you can hook your PC Speakers into your MK806 and still enjoy audio output. As it happens with RK3066 based Android PC devices, the MK806 has no Linux support at the time of this writing. Hopefully Rockchip opens up their system specific data into the open source, allowing not only the MK806, but all Mini PC based on its processor to accomodate the necesary drivers into Linux ARM releases.